Google accounts give users more abilities to customize the interface to better suit the user. Gmail themes provide colors and images to personalize the email client. 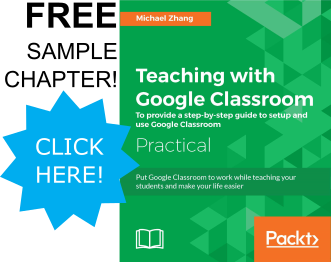 Read on to find out how to change the overall theme of a Google Account. Click on “Themes” in the drop-down menu (the third from the bottom). Color Themes are simple themes that change the background color of Gmail. HD Themes have picture backgrounds. Some change pictures each time you login and others change depending on the time. (Read on for more information). 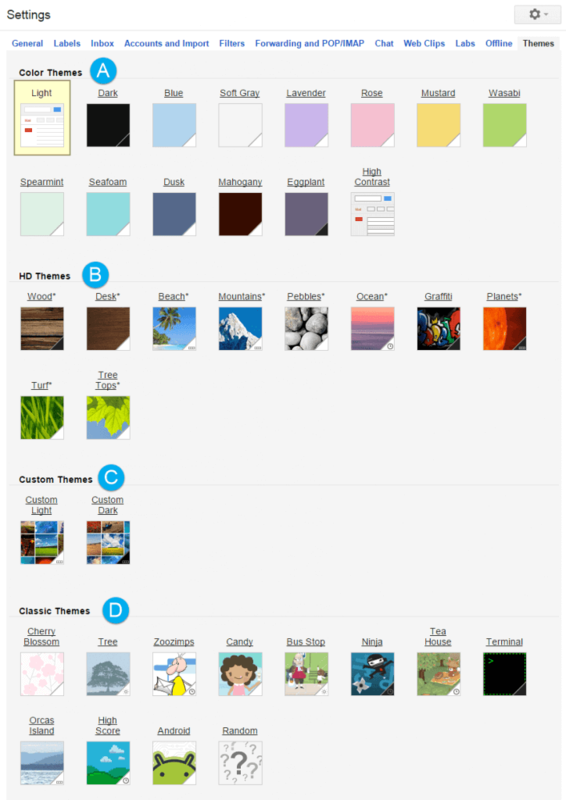 Custom Themes allow you to upload your own image to be the background of Gmail. Note that much of the image is obscured by the emails. Therefore, choose images where the focus is not at the center of the image. Classic Themes are cartoon-based themes. These too can change on each login or depending on the time of day. The color indicates whether the theme is a light or dark theme. If a clock is present, the image will change for each login depending on the time of day. If connected square are present (they are supposed to look like a filmstrip), the background image will change during each login. Gmail will cycle through a set number of images. Check out the “Planets” theme for an example. 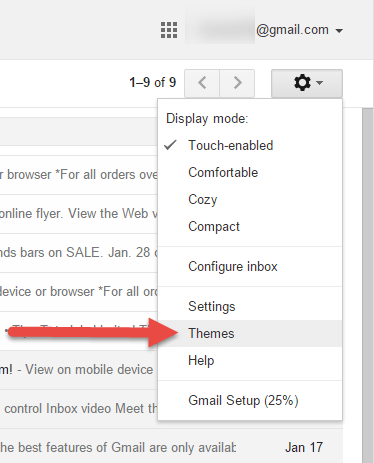 For more info, check out Google’s help page regarding Gmail Themes.